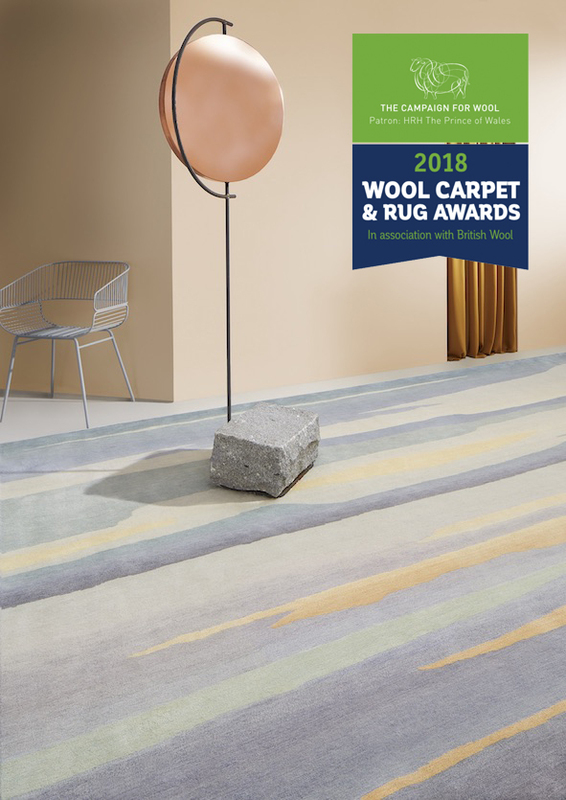 We are thrilled to announce that Deirdre’s epic SKYSCAPE rug design has won the Innovation Award at the annual Campaign for Wool British Wool Wool Carpet and Rug Awards at The Flooring Show! SKYSCAPE has been one of the most popular designs in this year’s collection and one Deirdre is really proud of! The design uses a palette of 20 colours in wool, silk and a wool silk mix to cleverly recreate a sky at sunset. The rug is a testament to Deirdre’s unparalleled eye for colour and the complex colour grading on this hand knotted carpet (measuring 5M x 2.35M) showcases the incredible skill of our Nepalese weavers.